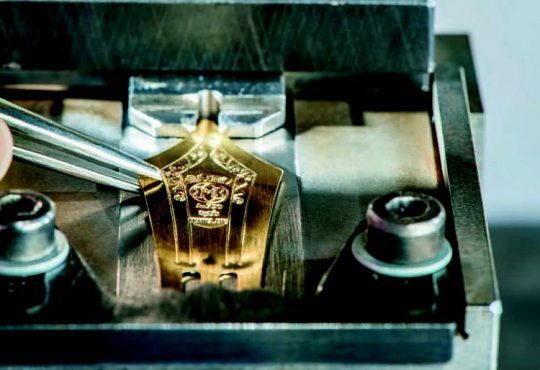 Luxury watch maison Montblanc takes its name from the highest mountain peak in the Alps. So it is little wonder that, in honour of the 160th anniversary of the brand’s manufacture Minerva, a new timepiece has been launched paying tribute to the pioneering spirit of mountaineering. It is clear that the Montblanc 1858 Geosphere Limited Edition, a stunning watch limited to just 1,858 pieces, was designed with the modern-day explorer in mind. A brand new WorldTime complication powered by the calibre MB 29.25, developed by the Montblanc engineers in Villeret, allows you to take stock of multiple time zones at a glance: it features two hemisphere globes – one at 12 o’clock and one at six o’clock – which make a full rotation within 24 hours. The date (linked to local time) is indicated in an aperture at three o’clock and the longitude reference meridian for both hemispheres is beautifully highlighted by a luminous white line coated with SuperLumiNova®. The spirit of wanderlust seems etched into every design detail, making this watch the perfect travel companion for today’s style-conscious explorer. The challenging sport of mountaineering is the biggest inspiration for the watch, although you’ll have to look closely to notice some of the more subtle design references. Eagle-eyed watch lovers will spot red dots picked out across the brushed metallics of both world maps. Each dot is carefully placed to pinpoint the seven highest mountains in each of the seven continents: Kilimanjaro in Africa, Denali in North America, Aconcagua in South America, Montblanc in (western) Europe, Vinson Massif in Antarctica, Carstensz Pyramid in Australasia and Everest in Asia. This is a reference to the Seven Summits, a feat of endurance that is widely regarded as the ‘Holy Grail’ of mountaineering adventures as it involves summiting each of the seven peaks. The names of the mountains are also beautifully engraved onto the back of the watch. So challenging is the Seven Summits that only about 500 athletes have managed to achieve it to date. 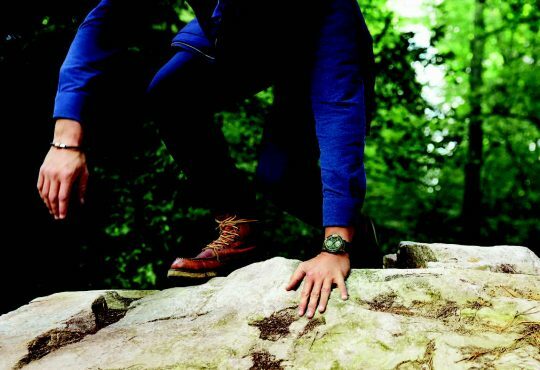 It is with that same pioneering spirit of adventure and fearlessness in mind that this timepiece was created. The spirit of wanderlust seems etched into every design detail, making this watch the perfect travel companion. Along with numerous references to the great outdoors and the intrepid explorer, the Montblanc 1858 Geosphere Limited Edition also has a number of design features that nod to the vintage watches of the 1930s. The retro-inspired style shines through in the luminescent beige numerals, historic Montblanc logo and the stylish cathedral-shaped hands. 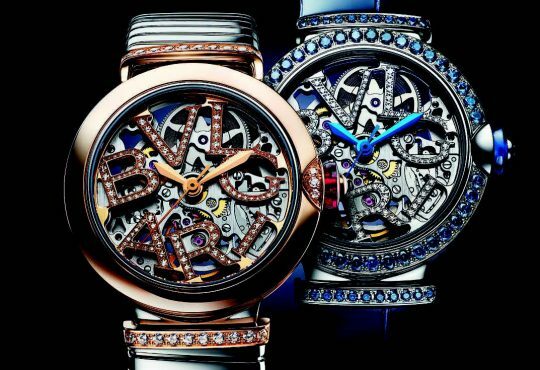 At the same time, there are enough contemporary touches to keep the watch rooted firmly in the present, including the use of copper throughout the design. An unusual choice of metal for any watchmaker, the colour contrasts beautifully with the glossy ceramic black dial and bezel, and particularly well with the cognac-coloured calfskin leather strap. The chunkier, limited edition bund strap adds to the sporty aesthetic and would be easy to picture on the wrist of any mountaineer or outdoorsman. However, the overall design maintains the perfect balance between modern elegance and rugged masculinity, making the Montblanc 1858 Geosphere Limited Edition the perfect companion whether you’re in the office, on the road or on top of the world.